Wishing you all the best for the festive season and a prosperous 2019. We will be closed from Friday afternoon 21/12/2018 until Wednesday 2/1/2019. Contact our Yard Manager Nelson for any enquiries 0406910148. Thank you for your interest in Tasmanian Native Timbers. Welcome to the quality timbers and service we deliver. 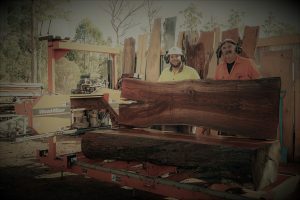 Tasmanian Native Timbers specialise in the supply of rare Tasmanian timbers. Our timber features beautiful, striking colours, intricate figures and distinctive shapes – all uniquely Tasmanian. The task of sourcing and sawmilling logs, sorting timber coupled with the kiln drying process of these Tasmanian Native Timbers, may result in brief supply shortages. This may limit our ability to sometimes supply timber on demand. We do have supply arrangements with others to assist us to meet orders. 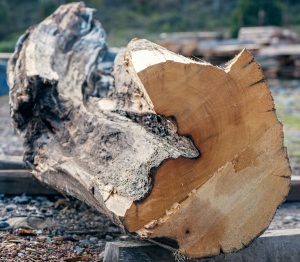 We are a small enough company to be able to offer our clients a custom log sourcing and cutting service to meet their requirements. Tasmanian Native Timbers are committed to the preservation and promotion of Tasmania’s unique environment. As part of our commitment to the environment, we obtain our range of saw logs and craft logs from a variety of sources; private landholders, plantation owners, and Forestry Tasmania. This allows us to mill logs that would be bypassed, destroyed, turned into pulp or used for firewood. We assess each saw log individually, to maximise the amount of quality sawn timber recovered from each saw log. The remaining timber left over from the milling process is turned into various high-value craft pieces. Located in Elizabeth Town, we are a mere 25 minutes drive from Devonport, and the closest Special Timbers Sawmill to the Spirit of Tasmania. See our Contact page for Location Map.